Meet other people at Mercy who like plants. 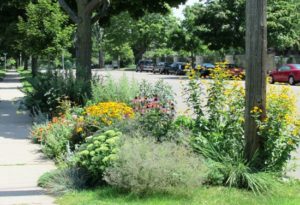 We get together to garden at Mercy in the boulevard gardens and planters, share seedlings, perennials, and vegetables, and connect with and learn from each other. Contact the group organizer for more information.